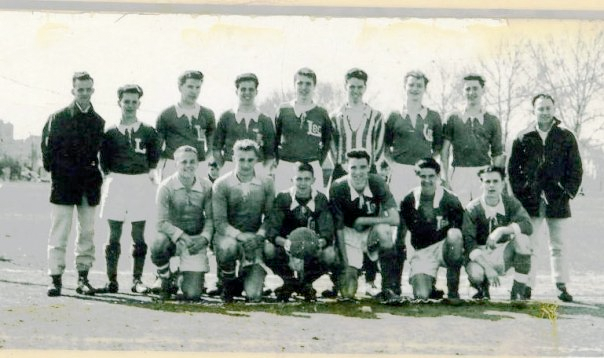 National Soccer Hall of Fame member Len Oliver’s memories of playing soccer in Philadelphia in the 1940s and 1950s continues with his time with the Lighthouse Boys Club. Lighthouse was founded in 1897 by Esther Kelly Bradford, a Philadelphia socialite. This was a time when Jane Addams and other social reformers were establishing their settlement houses and neighborhood centers to help the wave of European immigrants and their youngsters cope with urban life. Lighthouse capitalized on its Scottish, Irish, and English neighbors’ passion for soccer and early on created a soccer foothold in the Kensington community. Most boys started with the Club at 9-10 years of age, often staying with the Lighthouse teams until they were ready for play in Philadelphia’s top First Division or the pros. For years Lighthouse had provided the senior amateur teams and the pros with top class, home-grown American talent. For example, the 1936 Olympic Soccer Team had four former Lighthouse players in its ranks, a tradition that went back to the 1912 Olympics. Coach Ozzie told us where to play, still in the traditional 2-3-5, and we did it. We changed in a one-room, timbered clubhouse with no showers or heat, often shivering until we moved onto the field and started running. 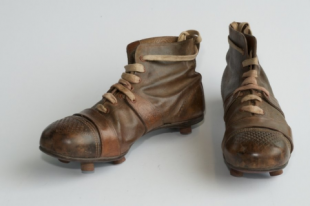 We always walked the three miles to the field, arriving ready to play without warmup or stretching, and walking home afterwards, our boots over our shoulders. Raw, tough, hard soccer where we honed our skills, applying what we had learned in the streets to real, full-sided games. We now started to learn positions, heading (seldom done in street soccer), and gaining a tactical sense of the game. But the street soccer moves paid off. We didn’t call them “travel” or select teams then, just Lighthouse Juniors playing in the 20-team, two-tiered Philadelphia Third Division, or Junior League. We played a full season, non-stop, from September to June, with few games called for inclement weather–a schedule that gave us close to 40 games a year, equivalent to any European youth program. Since Philadelphia was a neighborhood city, populated by ethnic groups attracted by job opportunities, particularly in the textile mills, along with plentiful housing, organized soccer in the city reflected the city’s ethnic/neighborhood mix. Teams came from Cardington in West Philadelphia, Nicetown in the North Philadelphia area, Germantown in the Northwest, and numerous neighborhoods like Kensington and Harrogate in the hotbed of soccer, Northeast Philadelphia, with its large concentration of immigrants. As the ethnics moved out of the city to the suburbs north of the city, teams like the Erzgebirge Club for the Germans and the Ukrainian Cub grew up to serve their youngsters. Unlike our modern youth soccer breakdown of U-l9, U-17, U-16, and so on, the Philadelphia Third Division simply went up to 18 years old; anyone younger could play whatever his age. The League was affiliated with the Philadelphia Soccer League composed of three divisions–Juniors, Second Division, and the First Division–the top amateur grouping. No USYSA, no AYSO, no state youth soccer associations unlinked with the top-level amateur clubs. Once you started with the Juniors, you were expected to move up the ladder–there were always older teams to play for. The Eastern Pennsylvania District was affiliated with the United States Soccer Federation, founded in 1913 to oversee soccer in the US and the FIFA-sanctioned body for soccer in our country. Our team was coached by my cousin, Tom Oliver, a star with the Philadelphia Nationals pro team. We received little instruction, no overlapping or diagonal off-the-ball runs, no “numbers’ down” games, no Coerver moves. We built these features into our game by instinct, without instruction. We had only one system of play–the old 2-3-5, with a great workload falling on the inside forwards and the halfbacks, specially the center half. Our practices were simply a continuation of street soccer–we played, practiced moves, and played some more. No stretching, no drills, no warmups, no cones, no manuals, no pennies-just play, experiment, and always go for goal. We were rugged, urban kids who wanted to win and had the skills to back up our cockiness. We won two straight Philadelphia Junior League titles, going on to win two consecutive National Junior Cup titles in 1948 and 1949, running up a string of 36 straight victories. In those days, the referees, all former players, let us play. No cards, just occasional verbal warnings to “Hold it down” to keep control or to ensure fairness. But you had to be tough. There was a lot of intimidation, occasional fights, lots of heckling from the sidelines. But the referees knew us and knew the dynamic of the game–we settled matters on the field with our feet. Some of the refs had colorful names like “Offsides Smitty,” known in his playing days as the forward who couldn’t stay onside. Since we didn’t have registration cards with photos, we would tell a ref new to us that the first scorer’s name was “Bill Zook,” who incidentally came in second in League scoring one year–and didn’t exist! Toughness on the field and backing down from no one helped me later when I was playing against international teams, or playing overseas, taking the bruising tackles and giving it back–knowing the fouls would not be called. Today, our kids seem surprised when they go overseas where fouls that would be called in the U.S. are overlooked in the course of play overseas. The National Junior Challenge Cup competition pitted city against city in one-game knockout competitions. [Editor’s note: The National Junior Challenge Cup was renamed the James P McGuire Cup in 1975.] We hosted the Schumacher Club of St. Louis in 1948, winning 1-0 on a direct corner kick before 2,000 fans at Holmes Stadium, and then defended our title the following year by defeating Windsor S.C. of St. Louis 2-1 in a rain swept night game before 250 fans at St. Louis’ Public Schools Stadium. This game stands out as a lasting soccer memory. Windsor scored with two minutes remaining. Somehow we came back with two goals in one minute in the mud, forcing our way into the box to win our second title–a truly memorable soccer moment for a 14-year old player. After two years in the Junior Division, we were ready to move up to the next level of competition. That’s the way it was done–when you were ready, you played up. Just a few years later we were playing against some of the best players in the country, and I made it to the U.S. Olympic Team final tryouts in St Louis in 1952 at the age of 18. When I think of our years in the streets, unsupervised, I wonder if we would have been better players with trained coaches, as many youngsters, both boys and girls, have today? Probably. Would we have faced the twin dangers of being overcoached while being discouraged from taking risks and working on new moves on the field? Possibly. Did we gain an appreciation for the game, confidence in our skills, and a competitive drive that would last a lifetime? Absolutely. For part one of Len Oliver’s series, click here. For part one of PSPs Q&A with Oliver, click here. To learn more about Lighthouse, click here for PSP’s history of the club.